Should I Get My South Jersey Home or Business Tested For Mold? If you spend enough time researching anything on the internet you will uncover controversy about virtually any home service. When it comes to mold testing, that is no different. A bulk of the doubt, speculation and controversy around mold testing is often rooted in over generalization, misinformation or misguidance. So, do you really need to test your home for mold? The answer will be different in every situation. In some cases, mold testing can provide great information about the conditions of a space, that otherwise could have been missed. In other cases, mold testing is an unnecessary expense that will tell us exactly what we already know. Industry standard dictates that if mold is visibly apparent, it needs to be removed, regardless of species or type. It is a common misconception that the species of mold is important and remediation is only necessary is it’s the “dangerous” kind. All mold can have potential health affects depending on the individual, and all mold can wreak havoc on your buildings materials and cause serious property damage. According to the EPA, “In most case, if mold is present and visible, sampling for mold is unnecessary. If the extent of the problem has been determined and the underlying moisture problem is resolved, the goal will be to remediate.” This means that excessive indoor mold growth, of any kind, is a problem and needs to be removed. On the other hand, there are a lot of scenarios where mold testing can be extremely helpful in determining the full extent of a mold problem, should one exist. If visible mold growth is confirmed in one area of the property, a NJ mold inspector might advise air quality testing of the adjacent areas even if there are not visual indicators of mold. Mold spores from a contaminated space can aerosolize, spread to and contaminate nearby areas without notice. When you detect suspicious odors, but do not see any visual indicators of fungal growth. When there has been a history of moisture problems (leaks, floods, etc.) and there is a suspicion that mold might be developing behind walls or under building materials. When a mold remediation has been completed– a clearance mold inspection with testing will determine if the mold remediation was successful and make sure that indoor mold levels have returned to normal. When there are potential health concerns. When a property owner suspects a possible mold problem, but is unsure. When a home or business owner has a general concern for the indoor air quality and mold. In this case, it is just a general concern for the indoor environment and testing is done more so as a precautionary measure in case there is more going on than what is visibly apparent. The information gathered during the visual assessment, moisture mapping and thermal imaging is equally important to the testing. Sometimes, it is even more valuable than the testing. Mold testing is just one element of a mold inspection. In fact, the most valuable aspect of hiring a mold inspector is not the mold testing– it is everything else included with the mold inspection that will provide context regarding the environment and how it could be sustaining mold growth. Mold samples are a mere snapshot of a single moment in time. The results of a mold test will only you tell you about the mold patterns in that one particular moment. That is why context is so important– and that is what a full mold inspection provides. Mold testing means very little without the support of a full mold inspection to provide context regarding the environment and how it could be sustaining mold growth. The mold inspection process includes a full visual assessment, moisture mapping and thermal imaging to understand the environment and conditions in the environment that could be encouraging and sustaining continuous mold growth. The information gathered during the visual assessment, moisture mapping and thermal imaging is equally important to the testing. Sometimes, it is even more valuable than the testing. In the event that a mold inspection reveals an elevated mold presence, your NJ mold inspector will use the information gathered through a visual assessment, moisture mapping and thermal imaging to determine the moisture source that caused the mold in the first place, how many areas it has affected and to what extent. 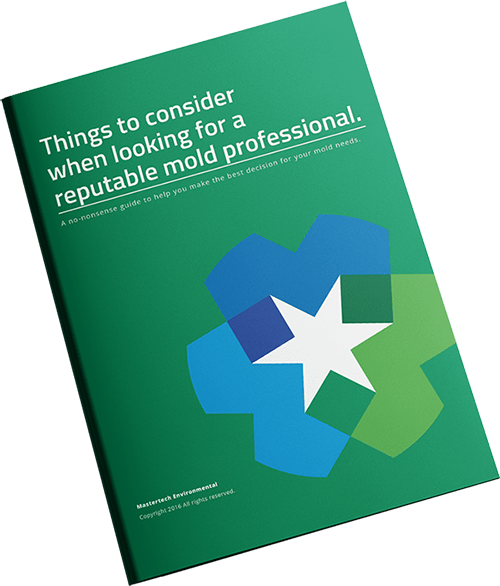 All this information is incredibly useful to understand the full extent of the mold problem, what caused it, how safely remove it, and how to effectively prevent it from returning. If you think that mold testing will be beneficial in understanding the conditions in your South Jersey home, be sure to do your research before hiring just any mold inspector. Again, mold testing is just one element of a whole investigative process. In order for the sample results to make sense, you need context. It is important to understand the surrounding environment and indoor conditions that drove those results. A thorough visual assessment with moisture mapping and thermal imaging will reveal valuable information that will help your inspector determine what is causing and sustaining the mold growth. Furthermore, this information gathered during a detailed mold inspection will be crucial to prevention. With a thorough understanding of what caused the mold growth in the first place, you will be able to implement the necessary moisture control to prevent future re-growth following remediation. 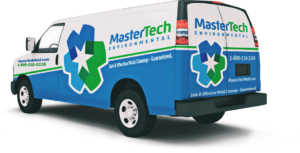 The trained and certified mold inspectors at Mastertech Environmental have the necessary skills, experience and tools to conduct thorough mold inspections with mold testing. Our mold inspection process includes a complete visual assessment, moisture mapping (with moisture meters and thermal imaging cameras) and mold testing. We will determine if a mold problems exists. If a problems exists, we will get to the bottom of what caused it, prescribe a safe & effective mold remediation plan, and provide insight on how to prevent future mold growth. If you are in need of mold inspection and mold testing services in your South Jersey area, call Mastertech today to learn more about our services.